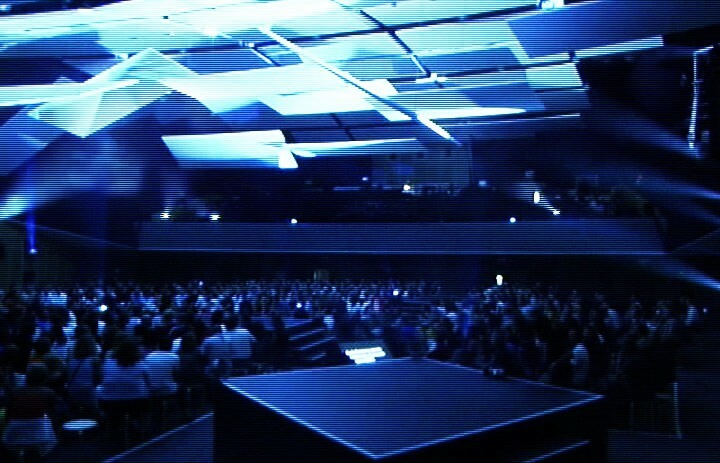 Malta Convention Center, 2004. 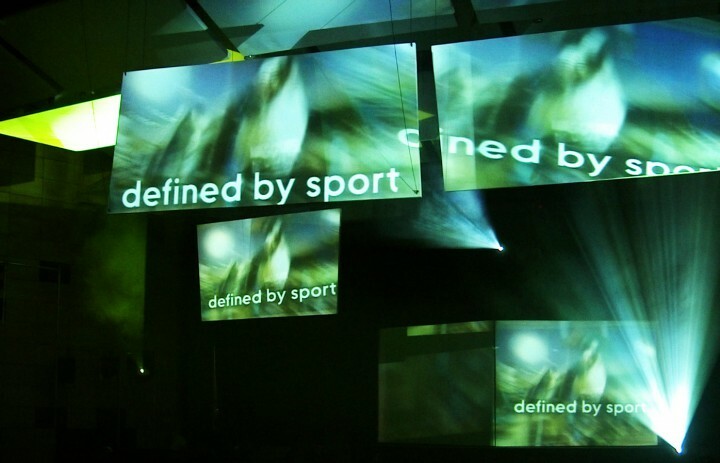 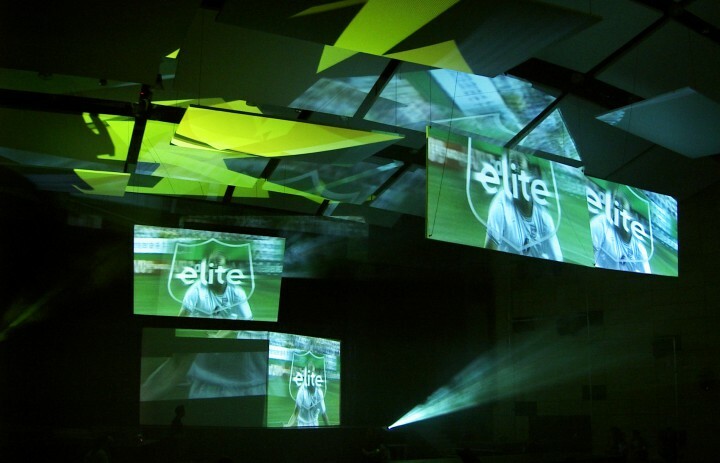 Global event for NIKE, led by Satis&Fy. 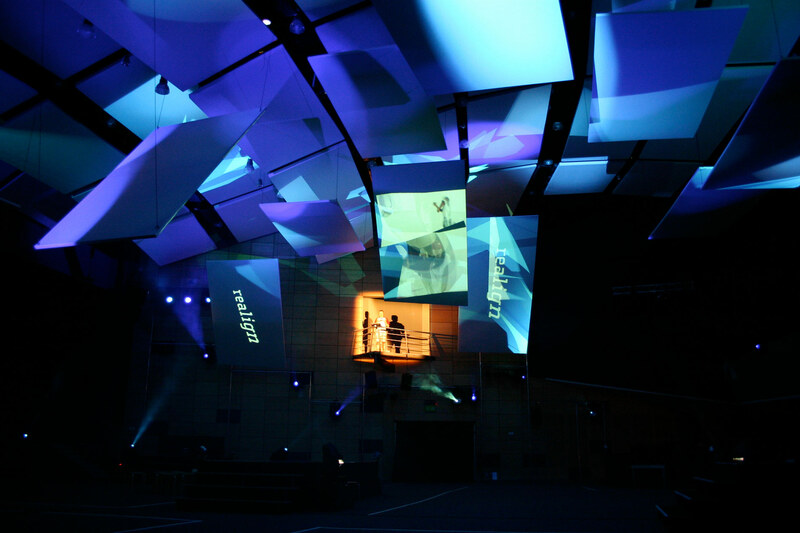 As visual director, I utilized a second layer of kinetic panels implemented to the existing acoustic ceiling of the convention center. 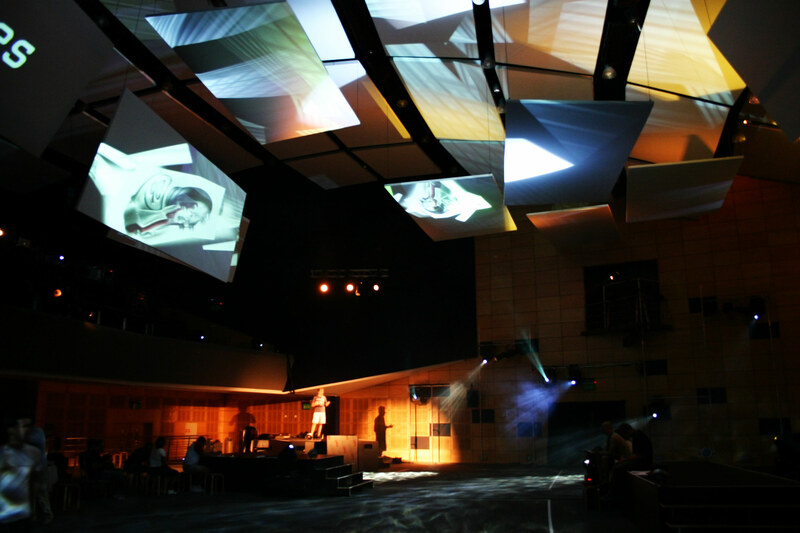 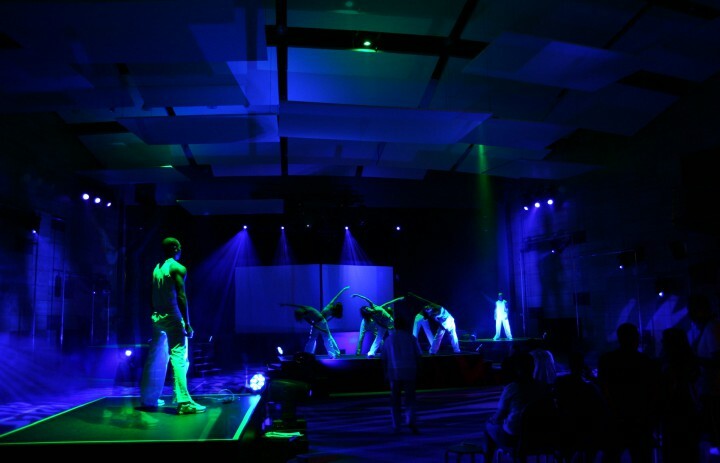 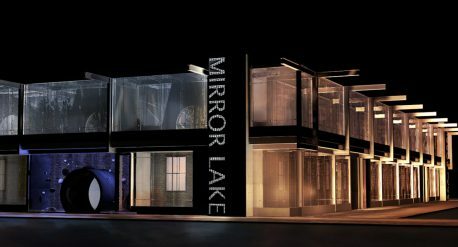 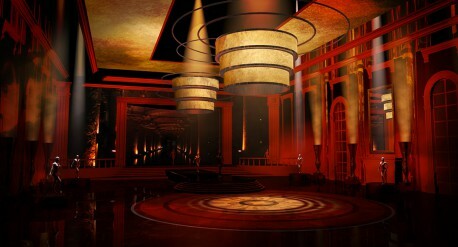 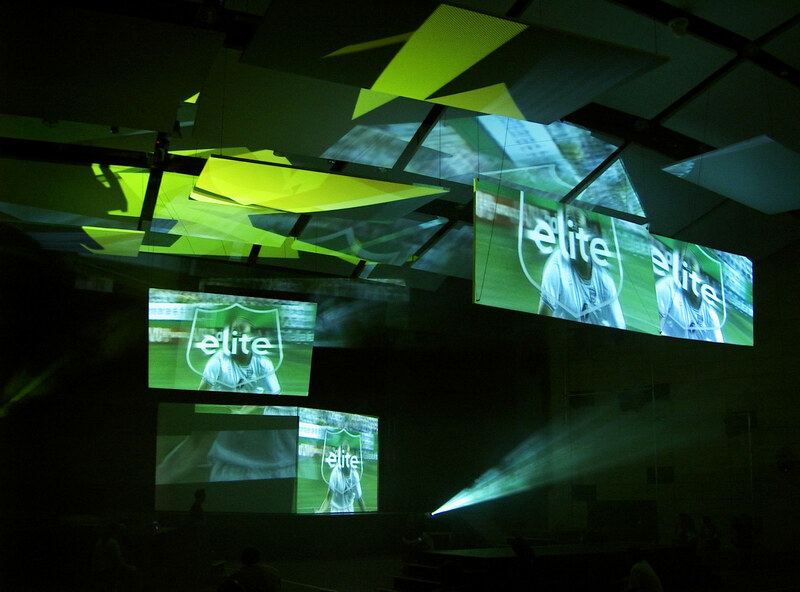 The design enabled a playground for projection, lighting and scenic structural changes for this fashion event. 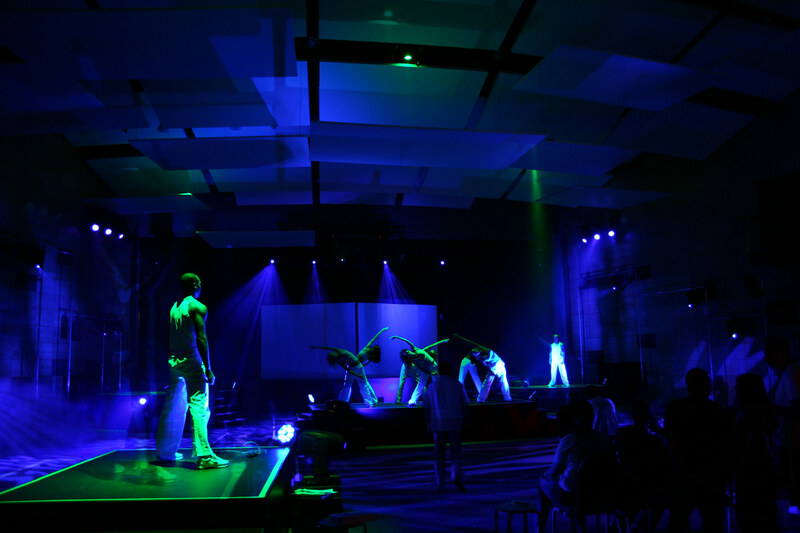 The high energy performances and presentations around the brand's global strategy and product lines were immersed in an environment of movement of shadow and light. 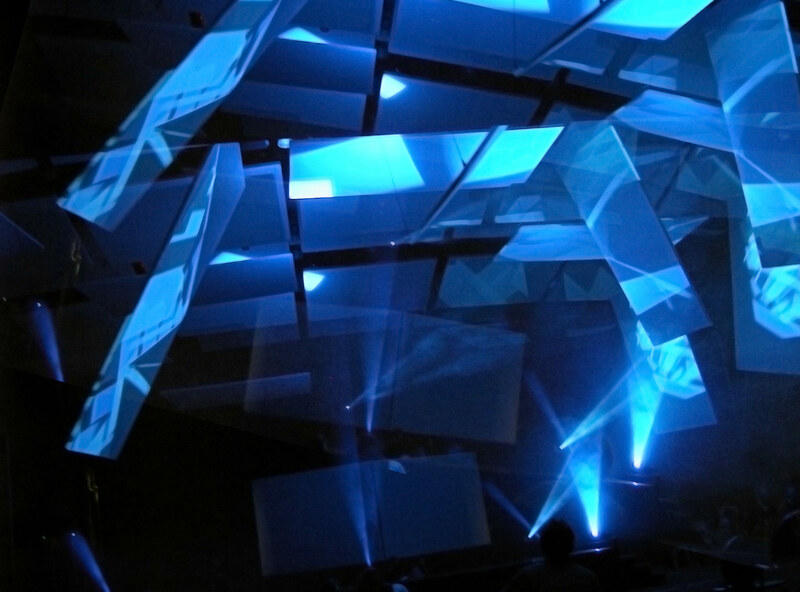 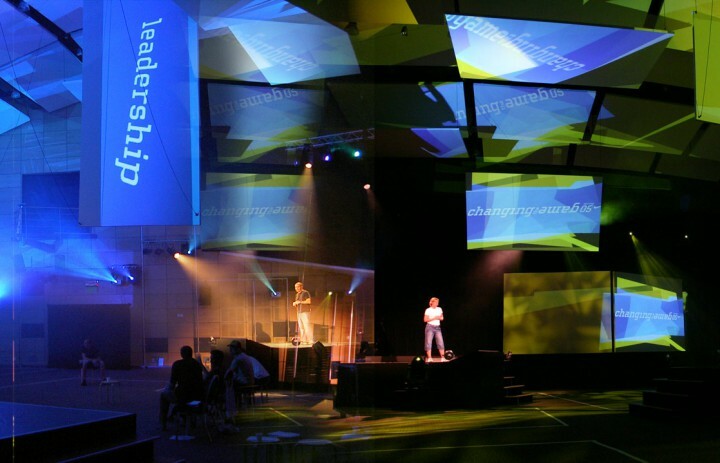 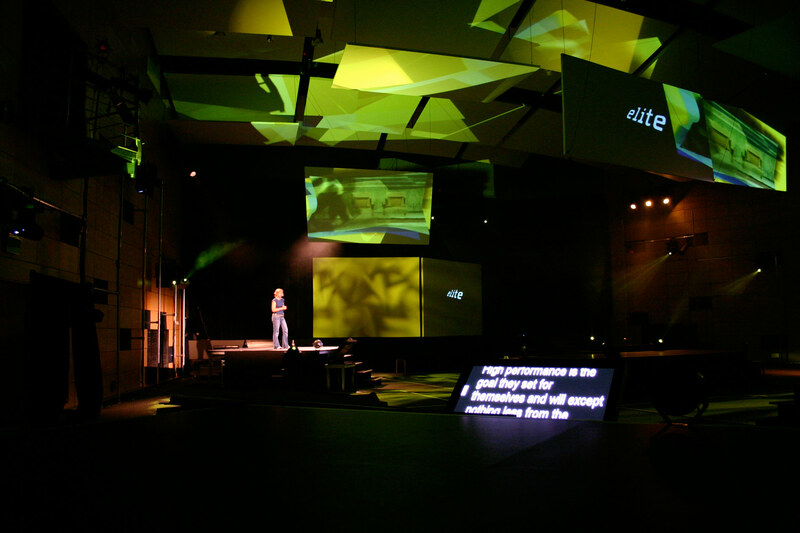 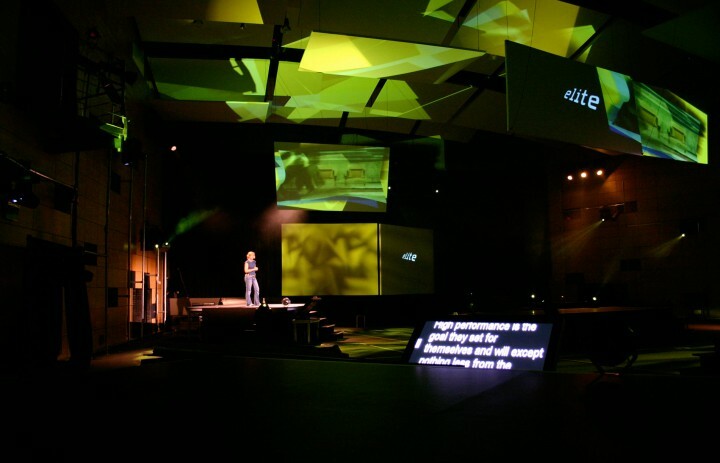 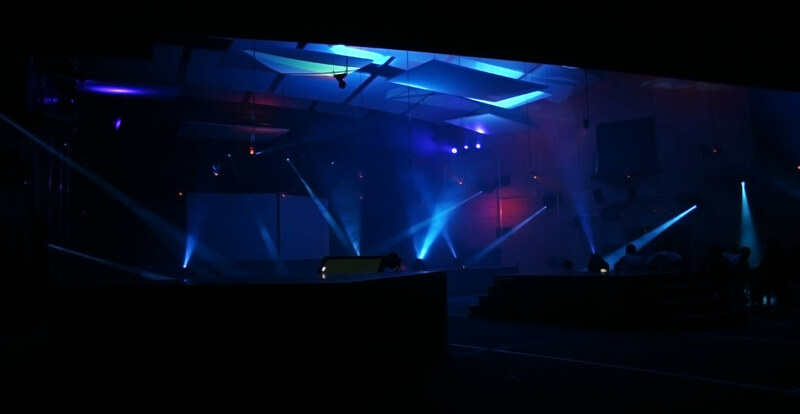 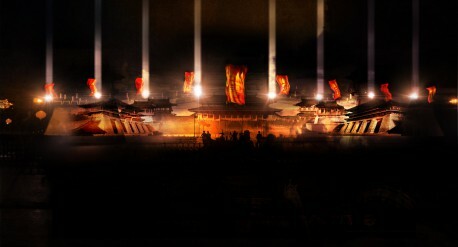 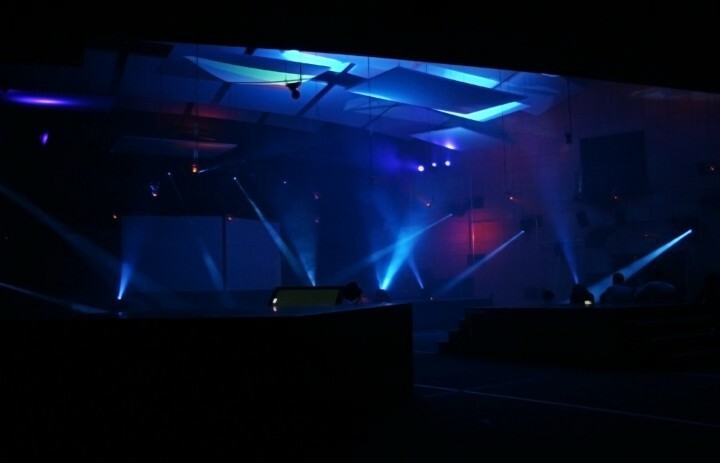 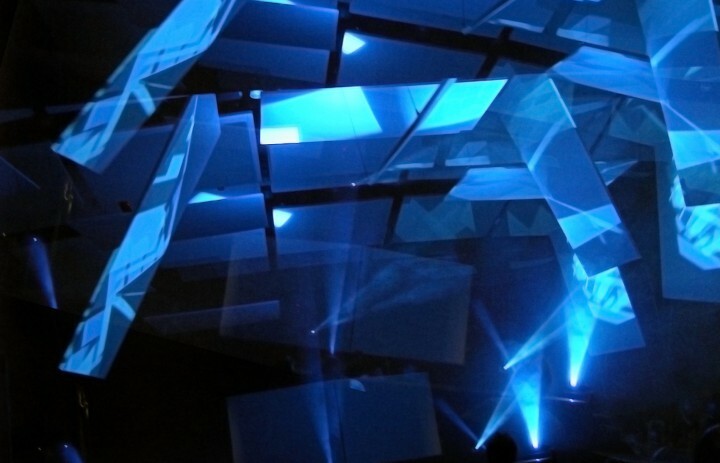 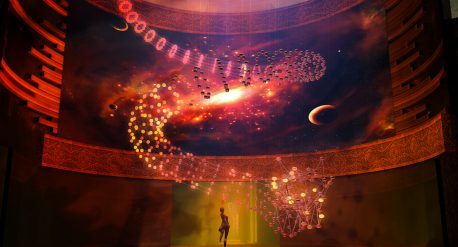 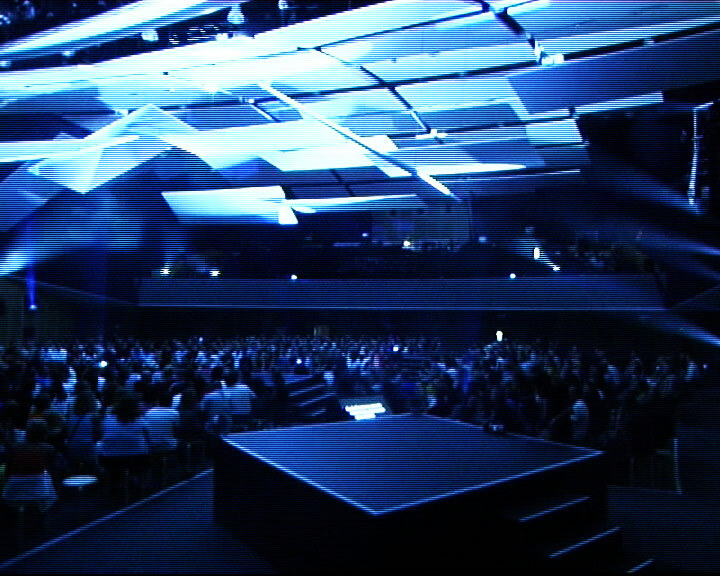 The lighting and projection design focused on random structures of moving lights and projectors complementing each other as sources of light, color and content.